The Communist Party has locked up relentless critic Liu Ping, after she joined the growing number of Chinese demanding top officials reveal their financial situations. Seven other dissidents were also detained. 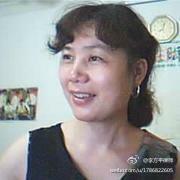 The police in Xinyu, Jiangxi Province, jailed Liu for “inciting subversion of state power,” but neither her daughter nor her legal representative Zhang Xuezhong have any further information. Two of the other activists have been released, and one put photos on her microblog of bruises she said she received during police beatings. Liu became recognized internationally for her gutsy run as an independent candidate of the National People’s Congress (NPC), in a country where people run for office and vote as they are told, not as they want. Despite popular appeal, she and others who dared to run as independents were forced out of their local races. Turning then to activism, Liu became a voice for labor issues and women’s rights. She was detained along with other well-known activists in March 2012 in the annual arrest sweep prior to the meeting of the NPC, a sign she was becoming genuinely troublesome to the Chinese Communist Party (CCP). The latest arrests signal heightened sensitivity to the issue of the amassed fortunes of political elites and demands for their disclosure. Liu had been campaigning online for asset disclosure in the past few months, in an Internet environment becoming increasingly charged over issues such as the plunder of China’s industries and the immense fortunes of elite families. When detained, Liu and the other dissidents were preparing to visit the Suzhou grave of dissident intellectual Lin Zhao for the 45th anniversary of her execution. Jailed and eventually shot by firing squad for her unrepentant criticism of the Party, then posthumously “rehabilitated” in 1981, Lin Zhao has lived on through her writings and ideas, inspiring modern-day activists. This year those allowed to visit her grave were placed under strict regulation by domestic security. The charge of “inciting subversion of state power” is often used by the regime to punish critics like Liu. Although new leader Xi Jinping often publicly calls for moderation, frugality, and an end to corruption, human rights organizations have observed an escalating campaign to stifle calls for asset disclosure as well as censorship of publications divulging top officials’ fortunes. Human Rights Watch questioned the Party’s sincerity in an April statement, when the security apparatus began detaining asset disclosure activists. Eight activists have been arrested in Beijing for demanding that top-level communist officials disclose their assets. A heavy security presence restricted visitors to the grave of Lin Zhao, a poet and writer executed during the Cultural Revolution.